The webs of reviews for restaurants They can lead to a local little known to stardom, but they can also do much damage. The problem is not exclusive to small initiatives, organized restoration, even stronger, also he sees his popularity erodes every time a consumer discontent leaves a negative opinion describing the bad experience that took place in a hotel chain. If it fits, the problem is even larger (but not more intensely), for each of the premises that are part of the franchise is likely to create a customer dissatisfied as if it were spontaneous generation. In TGI Friday’s well aware of the problem, but possible solutions are not so clear. Today are experimenting with a new system, when on line with forecasts, greatly reduce the number of harmful openly publish reviews on websites like Yelp, TripAdvisor O Google Maps. This is a preventive measure in a way reminiscent of the complaint forms, although without reaching the seriousness of these and also allowing positive feedback. Upon entering establishments, diners receive a small electronic device reminiscent of a smartphone. This is an interface through which they can communicate their impressions about experience, good or bad. Each time a client sends a message, this reaches the receiver, usually in the hands of the manager or manager of public relations control. This is completely in real time, without noticeable delays. If the notice contains a complaint, personnel TGI Friday’s You can act and take charge of the situation. As usual, this means that Diner concerns will be addressed so that the problem is solved or minimize frictions caused. If instead the notification contains a eulogy, It corresponds positive reinforcement, it never hurts to acknowledge that the services provided are valued professionally. Thus consumer satisfaction is increased. At the same time It is kept clean image of the company in the network and the positive reviews are enhanced in doorways common. But it's not all you get TGI Friday's with this kind of customer service in real time. While they are solving one of the problems that were afflicting them, also take the opportunity to collect information about your customers. Nothing special: email, name and little else. But only with these two fields TGI Friday's can add value to the new database. 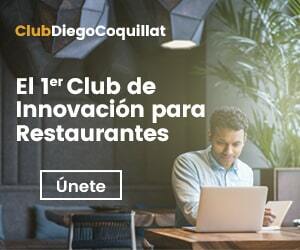 Two immediate applications: marketing campaigns by e-mail and closer to the services provided Addressing the diner by name (a first step towards ultrapersonalización). This data can later be matched with other. TGI Friday's calls his macrodatos «data lake», which in Castilian would be a lake data. listed there, In addition mail and name obtained through the new device reviews in situ, information on food orders directly extracted from POS terminals, data on rewards programs and records of all kinds obtained through social networks. Here's where things get interesting. TGI Friday's uses a unique platform based on artificial intelligence in the world of organized restoration marketers to generate personalized messages, messages that are sent later visitors who have agreed to receive. according to account Sherif Mityas, head of TGI Friday's experience, for the chain is "critical to interact with visitors in real time". It is therefore very satisfied with the implementation of the electronics devices, designed, assembled and sold by the British technological house Yumpingo. Together with the new CEO of the company, Ray Blanchette, who recently reached its new position after leaving policy Ruby Tuesday, believe that the new system reviews in situ will allow them customize marketing efforts reach and strengthen the business with the public with a key competitive advantage. It may seem a trivial matter, but what is living inside TGI Friday's is a abandonment of the demographic approach and the adoption of individualistic approach. Mityas leaves no doubt with his words; this is the way forward in organized restoration: "We must leave behind the point where we are setting as the beneficiary group baby boomers, to soccer moms o a los millennials, are heading to the John Mary; the data are what allow us to reach the level of precision required for interaction from you to you ". With the new terminals Yumpingo also leave previous attempts to deal with the negative reviews online more cumbersome and less sophisticated. These consisted diners share a link to a survey outside servers hosted. This type of approach, also limited, TGI Friday's prevented properly úsase information collected later. Meanwhile, Yumpingo is experiencing explosive growth in the UK thanks to the good functioning of their systems reviews in situ. Currently they are working as chains like Mitchells & Butlers, Wagamama, Bird Y Harvester, and despite not being in a position to share specifics of TGI Friday's, Yes they can give an overview of the observed use their devices: a 65% tables participating in the survey a minute. The system is working swimmingly, in fact, some of the restaurants that work with have experienced Yumpingo eight percent increase in the volume of income uniquely associated with the use of the terminal. For franchises specializing in casual dining restaurant organized times are tough. TGI Friday's hopes stay afloat adopting new technology solutions as this and highlighting base macrodatos resulting.